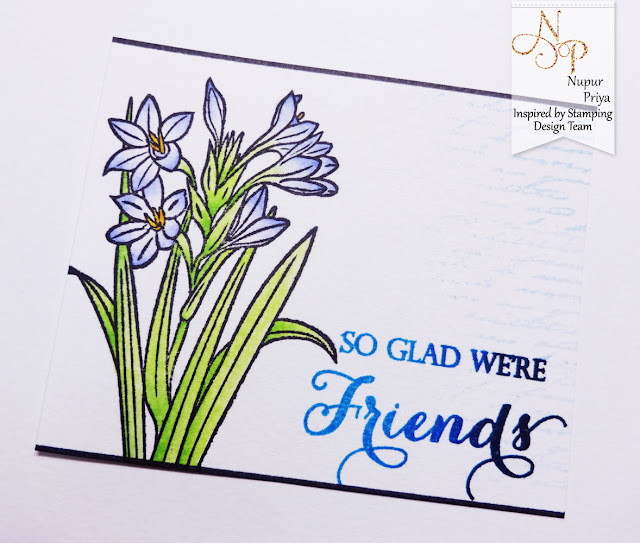 Today I am sharing a tutorial on Ombre Stamping. 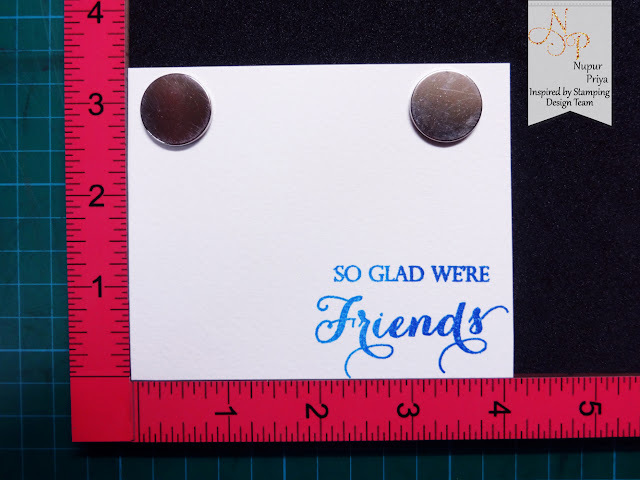 I started with stamping the sentiment from Friends stamp set using the lightest ink. 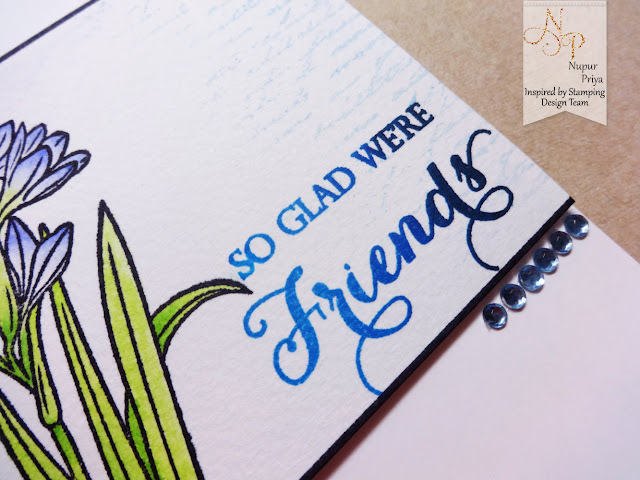 Next I took my mid tone ink to ink the stamp halfway & dabbed the edge with a cloth (to remove the harsh line of the darker color & make the transition on light to dark color smooth ) & stamped on top of the sentiment again. 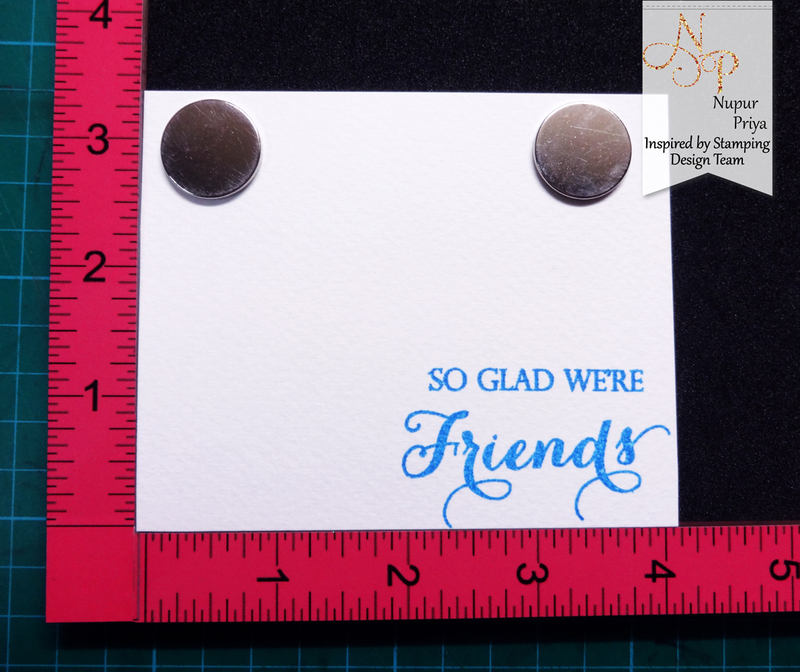 Now I took my darkest ink & inked only 1/3rd of the stamp & dabbed the edge with a cloth & stamped on top of the sentiment. 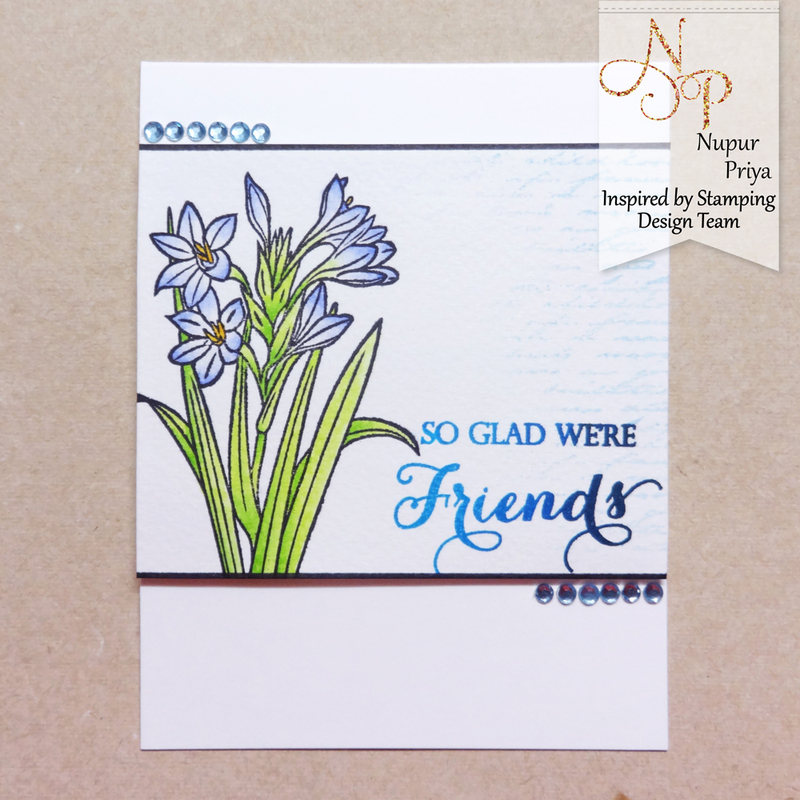 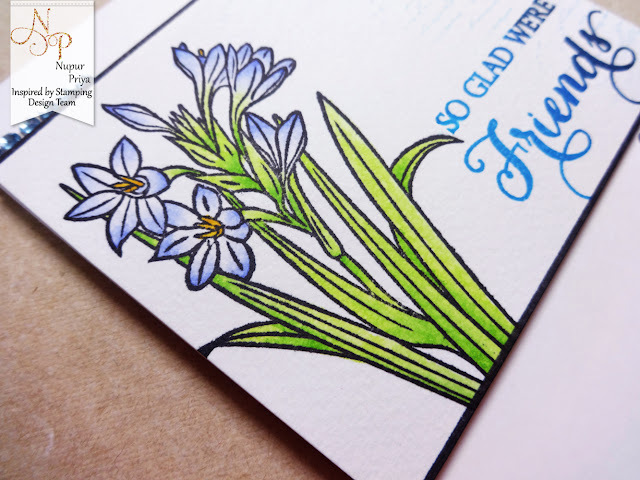 Next I stamped & colored in my flower image from Friends Forever stamp set. 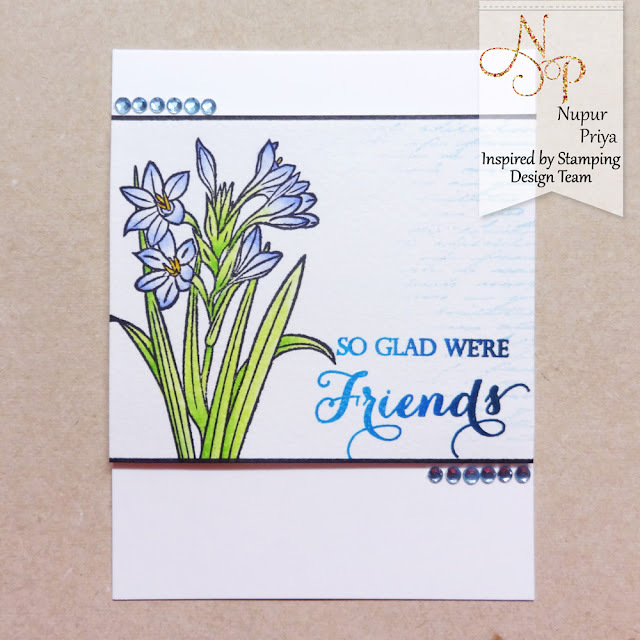 I stamped the script stamp from Background Basics III stamp set on the right side with a light blue ink. 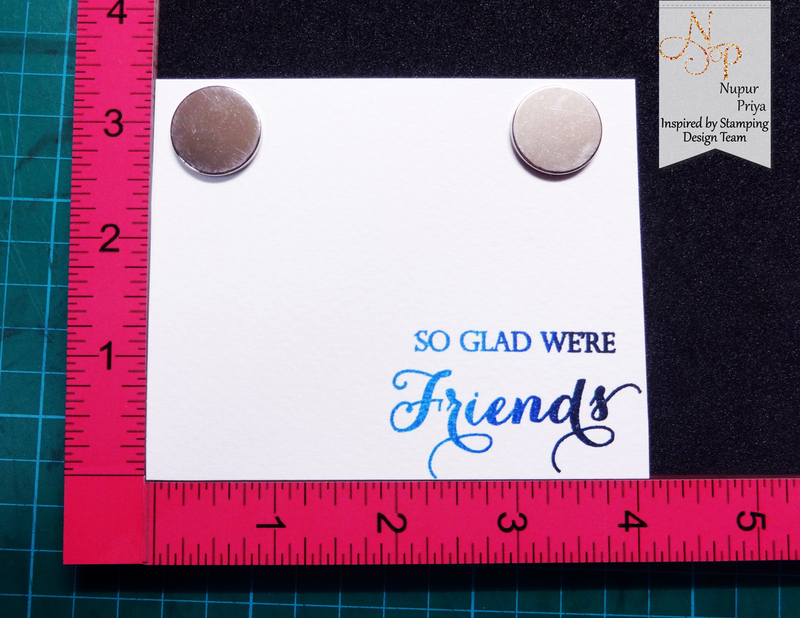 I added a black border to the top & bottom edges with a marker. 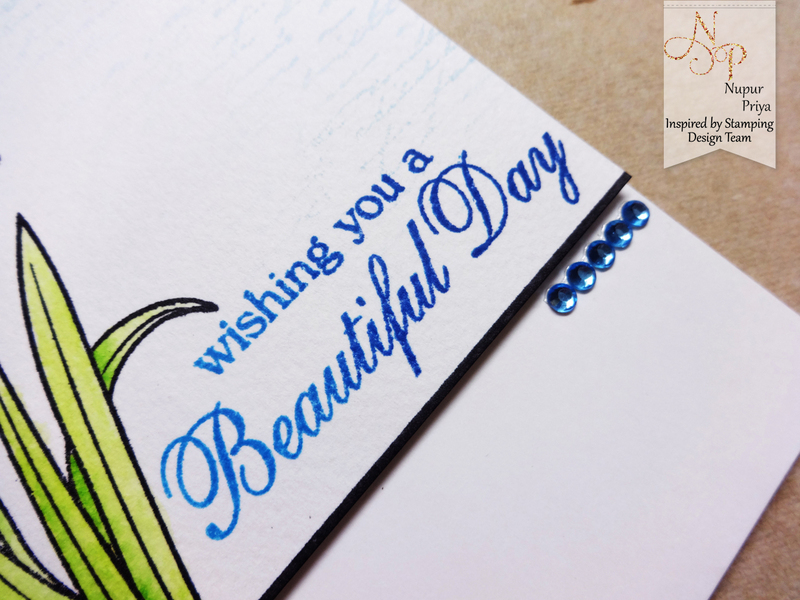 I adhered this panel with foam adhesive on my card front & added some rhinestones to add the finishing touch.